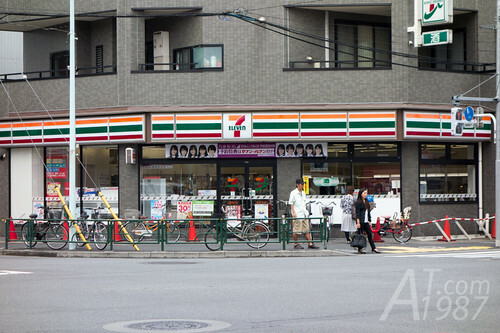 Nogizaka46 collaboration goods ads at 7-Eleven in Minami Senju. After leaving my baggage at Hotel. 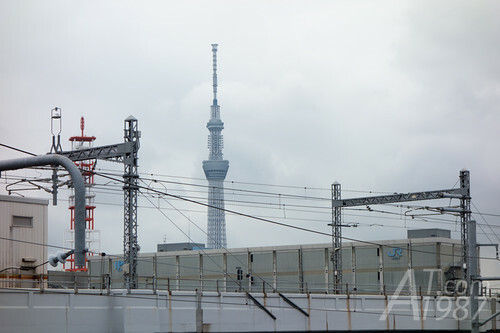 I went to Akihabara for shopping at Yodobashi Akiba. 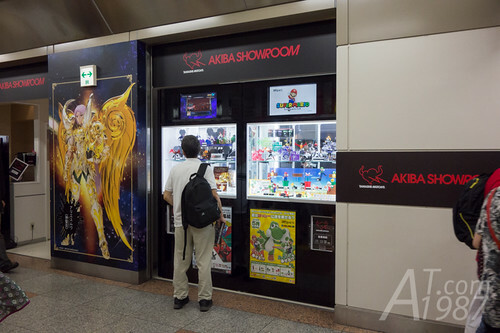 I passed Tamashi Nations Akiba Showroom on my way to it. Star Wars is very popular in Japan recently. 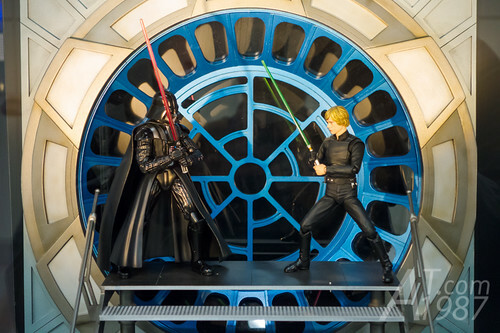 So Bandai showed Star Wars figures in one full showroom space. I spent a lot of time shopping at Yodobashi more than I expected. I began to feel hungry after shopping. So I went to Spaghetti Pancho nearby for lunch. I choose this restaurant because I saw Twitter user tweeted the photo of its spaghetti in his timeline. It’s looked very delicious. The main menus are spaghetti. 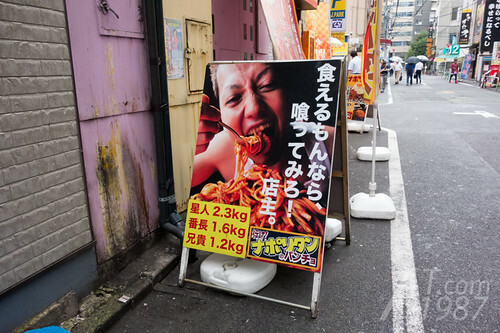 Most popular menus are napolitan spaghetti and meat sauce spaghetti. The several toppings such as sunny side up egg, bacon, etc. can be added to the dish. The amount of spaghetti can be selected too. 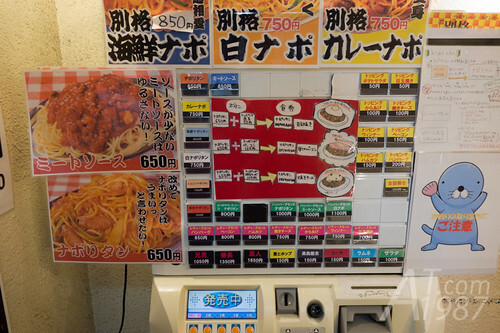 The ticket vending machine is outside the restaurant for selling the menu. Choose the menu and topping. The bring the tickets to staff inside. Staff will ask for the amount of spaghetti you want. 300, 400 and 600 grams. Staff also bring you to the seat inside. 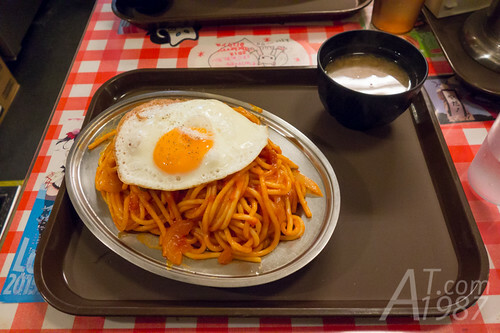 I ordered 400 g. napolitan and sunny side up egg. The miso soup was also served with my meal. The taste is OK for its cheap price. But there aren’t many sausages and the sauce taste is not strong as one in my country. However box of grafted cheese and Tabasco sauce are provided. The 400g of spaghetti is too much for me so I had to left a little of it in the plate. 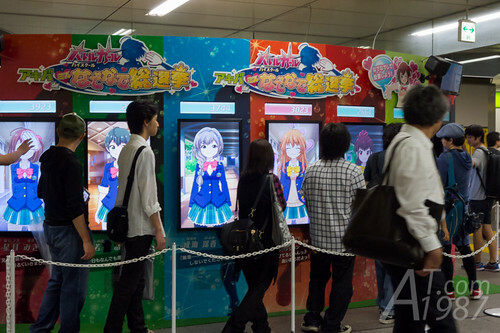 A big touch screen game in Akihabara Station. Hadn’t chance to try it. Then I got a train to the next destination.